The Culver’s Restaurant, located at 3070 S. Campbell, will have their formal dedication on Friday, October 10, 9:00 a.m. This is the fourth Culver’s Restaurant in the Tucson area and the first for the South side. Craig Culver, the founder of the Wisconsin based restaurant, will be here for the dedication of their newest location. Mr. Culver makes it a point to be there when a new location opens. Tucson, AZ – The Pima Community College men’s soccer team (10-3-1, 10-3-1 in ACCAC conference) suffered its worst defeat of the season last week at Phoenix College but the Aztecs came back and responded by upsetting No. 11 Glendale Community College 3-0 on Tuesday at the Kino North Grandstand. The No. 15Aztecs are 6-0-1 on their home field this season and handed Glendale just their second loss of the season (11-2-1). Pima also avenged its 3-1 loss at Glendale last month. This weekend Tucsonans can ride Sun Tran or the Sun Link streetcar to Tucson Meet Yourself, 2nd Saturdays, Pride on Parade or the University of Arizona (UA) vs. University of Southern California football game. It's time for Fire Prevention Week, and from October 5-11 the Tucson Fire Department is joining forces with the nonprofit National Fire Protection Association (NFPA) to remind local residents that ‘Working Smoke Alarms Save Lives'. During this year's fire safety campaign, fire departments will be spreading the word about the dangers of fires and how a working smoke alarm can give a family the notice they need to get out safely. If you aren't already registered, remember that today is the last day for voter registration if you expect to vote in the general election. You can come by our office at 7575 East Speedway to register before five and we will make sure to get the forms to the recorder's office. ARIZONA TO OPEN TRADE AND INVESTMENT OFFICE IN MEXICO - The Arizona Mexico City Trade and Investment Office opens tomorrow in Mexico City. Arizona dignitaries will be in attendance to celebrate the strategic expansion of Arizona's presence and investment in Mexico. "This is a step in the right direction for the State of Arizona. The Mexico City trade office will definitely help improve Arizona's image in Mexico City and give us access to business opportunities," said Juan Francisco Padrés, Tucson's economic development specialist for international trade. "The City of Tucson will also benefit from the office and its staff who are there to help us identify prospects and supply chain opportunities in Mexico's largest and most important city." The trade office in Mexico City will be led by the Arizona Commerce Authority (ACA), in partnership with the City of Phoenix, with additional support from the City of Tucson, Maricopa Association of Governments, and Visit Phoenix. Governor Jan Brewer and the Arizona Legislature made a commitment of $300,000 to the ACA to establish and manage the office. Read more from Greater Phoenix in Business. VOTER REGISTRATION DEADLINE TONIGHT - If you haven't registered to vote in the Nov. 4 General Election in Arizona, you have until midnight tonight to submit your form. The Pima County Recorder's Office currently is offering curbside voter registration in front of its downtown office in the Old County Courthouse (115 N. Church Ave) until 10 p.m. 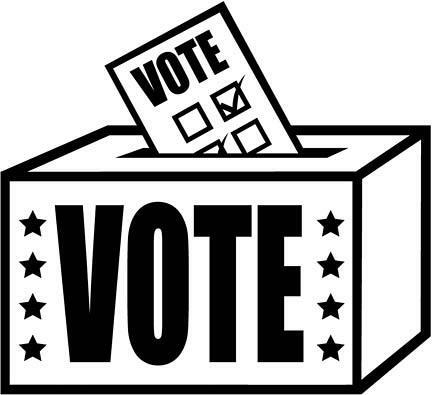 The Recorder's eastside office (6920 E. Broadway Blvd., Suite D) will offer the same service from 5-10 p.m. A new voter registration form must be completed by anyone who has moved, changed their name since their last registration, is new to Pima County, or would like to change their party affiliation. You also can register online. HOLIDAY ARTS AND CRAFTS FAIR: CALL FOR VENDORS - Applications are available for artists who wish to participate in the Holiday Arts and Crafts Fair, Nov. 29-30. The event has been held for more than two decades, attracting vendors from all over the Southwest. The Tucson Parks and Recreation Department is seeking artists, crafters, photographers, painters, potters, jewelers, and more to sell their original artwork. All items must be handmade and are subject to approval. The Arts and Crafts Fair will be held in Reid Park, west of the DeMeester Outdoor Performance Center. Registration is open through Nov. 14. Walk-in registration begins tomorrow at 900 S. Randolph Way, in the Registration Office. The fee is $90 for a 10 x 10 arts and craft vendor space for the two-day event. SPEND SUNDOWN WITH THE ELEPHANT HERD AT REID PARK ZOO - The Reid Park Zoo is hosting a "Sundowner" tomorrow with Nandi the elephant calf, and the rest of the herd, at 5 p.m. in Expedition Tanzania. In Africa, a Sundowner refers to cocktails at sunset in a beautiful outdoor setting. Enjoy hors d’oeuvres and beverages while listening to stories of baby Nandi’s recent birth and her early days on exhibit. You’ll also have the opportunity to tour the Elephant Care Center. Elephants Lungile and Punga will be offered enrichment items to play with, and you'll even have the chance to see Nandi up close. Check-in for the Sundowner begins at 4:45 p.m. tomorrow at the Zoo’s main entrance. The event begins at 5 p.m. Proceeds from this event will benefit Reid Park Zoo’s education programs, capital projects, and conservation efforts. FOLLOW THE PROGRESS ON THE DOWNTOWN LINKS PROJECT - The City of Tucson and the Regional Transportation Authority (RTA) have a Downtown Links website to give citizens information and updates on one of the largest transportation projects in Tucson. The $76 million project will result in a four-lane roadway north of the Union Pacific Railroad that will link Barraza-Aviation Parkway and Interstate 10, Broadway Boulevard with 4th Avenue, and downtown with the neighborhoods to the north. Downtown Links also will provide alternate access to downtown, new and safer underpasses and railroad crossings, and improved sidewalks and bike paths. CITY SEEKING COMMENTS ON POSSIBLE CHARTER CHANGES - Tucson's Charter Review Committee is asking for public comments as it reviews and makes recommendations regarding possible amendments to sections of the Tucson City Charter. A public meeting will be held at 4 p.m. Monday, Oct. 6, at City Hall (255 W. Alameda, 1st floor). Comments will be accepted through 2015, and potential amendments to the City Charter may be on the Nov. 3, 2015 City ballot. All comments should be made via email to the City Clerk’s Office, cityclerk@tucsonaz.gov. PUBLIC INPUT SOUGHT FOR PROPOSED BIKE SHARE PROGRAM - The City of Tucson is exploring the possibility of a public bike share program for the region. Bike share programs let people use a public bicycle on a short-term basis. More than 30 cities in the United States have launched such programs for their residents and tourists, and 15 more cities are expected to launch shared-use bike programs by the end of the year. “This is an exciting project that has the potential to leverage our investment in the Sun Link Streetcar and continues the progress Tucson is making in terms of downtown revitalization and economic growth,” said Ann Chanecka, the City of Tucson’s bicycle & pedestrian coordinator. Anyone interested in learning more about public bike share programs, or wanting to provide input in the early stages of the discussion, is invited to a public input session on Monday, Oct, 6, at 6 p.m. in the basement of the Joel D. Valdez Main Library, 101 N. Stone Ave. Read the news release. MULTI-USE PATH DEDICATION TOMORROW FOR TOUMEY PARK - After two years of community involvement and planning, a new eight-foot-wide, paved walking path with ADA access and drinking fountains will be dedicated tomorrow at 10 a.m. at Toumey Park, 4500 E. Eastland St. The path has been coated with a heat reducing epoxy paint to minimize the heat stored and radiated back from black asphalt, and lights and electrical outlets have been installed under the ramada. The new path helps improve walkability in the neighborhood and provides opportunities for fitness to the community. Funding for the $488,000 project came from Pima County Neighborhood Reinvestment Funds. DOWNTOWN WAREHOUSE WALK TOMORROW - Art enthusiasts will have a chance tomorrow to explore the arts district along Toole Avenue. The Warehouse Arts Managment Organization (WAMO) is hosting the the free WAMO Walk, a collaboration of galleries, studios, and other spaces in Downtown Tucson that will offer open studios, free live music, and other things. As many as 50 studios will welcome the public for the walk, which will stretch along Toole Avenue, from Sixth Avenue to Stone. There will be a light sculpture garden at the parking lot at 174 E. Toole, and food trucks will be on site. The parking lot will also have a stage for music and several projection screens. The WAMO Walk runs from 5-10 p.m. tomorrow. Read more from Downtown Tucson Partnership. TUCSON'S LINCOLN PARK TO HOST JENNIE FINCH SOFTBALL CAMP - The City of Tucson Parks and Recreation Department, Visit Tucson, and Pima Community College will host the Jennie Finch Softball Camp at the Lincoln Park Softball Complex, 8116 E. Escalante Road, Nov. 8-9. The camp is open to all girls in the third grade and up. Former UA Softball standout Jennie Finch and her Olympic and professional softball teammates will offer two full days of personal instruction covering all aspects of softball. Advanced registration is required, and participation is limited for the fee-based camp. Read the news release. program by the end of the year, including Phoenix. The City of Tucson is exploring the potential of a public bike share program for the region. Bike share programs are a service where people can use a public bicycle on a short-term basis. More than 30 cities in the U.S. have launched this new transit option for their residents and tourists, and 15 more cities are expected to launch this shared-use program by the end of the year, including Phoenix. TCC KITCHEN TO BE INCLUDED IN ARENA RENOVATION - The Rio Nuevo Board voted yesterday to add an additional $300,000 to its Tucson Convention Center (TCC) renovation contract to fix plumbing, ceilings, walls, the floor, and equipment in the kitchen and concession areas of the TCC. The money is in addition to the $7.8 million in arena upgrades already underway at the facility. Although the kitchen renovation will become part of Rio Nuevo’s overall makeover of the TCC, the City is paying for the kitchen work to improve the health and safety of the area. Last Day to Register to Vote Approaching! Read more about Last Day to Register to Vote Approaching!